The actor died Saturday following a long illness. LONDON — Known on the one hand for his starring role in “Lawrence of Arabia,” leading tribesmen in daring attacks across the desert wastes, and on the other for his headlong charges into drunken debauchery, Peter O’Toole was one of the most magnetic, charismatic and fun figures in British acting. O’Toole, who died Saturday at age 81 at the private Wellington Hospital in London after a long bout of illness, was nominated a record eight times for an Academy Award without taking home a single statue. He did receive an honorary Oscar in 2002. “Peter didn’t leave much of life unlived, did he?” he said. 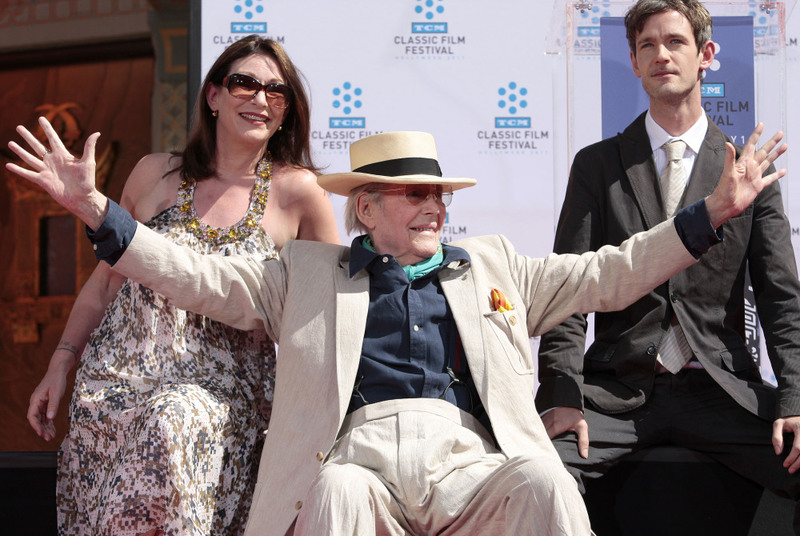 A reformed – but unrepentant – hell-raiser, O’Toole long suffered from ill health. Always thin, he had grown wraithlike in later years, his famously handsome face eroded by years of outrageous drinking. O’Toole began his acting career as one of the most exciting young talents on the British stage. His 1955 “Hamlet,” at the Bristol Old Vic, was critically acclaimed. International stardom came in David Lean’s epic “Lawrence of Arabia.” With only a few minor movie roles behind him, O’Toole was unknown to most moviegoers when they first saw him as T.E. Lawrence, the mythic British World War I soldier and scholar who led an Arab rebellion against the Turks. His sensitive portrayal of Lawrence’s complex character garnered O’Toole his first Oscar nomination, and the spectacularly photographed desert epic remains his best known role. O’Toole was tall, fair and strikingly handsome, and the image of his bright blue eyes peering out of an Arab headdress in Lean’s film was unforgettable. In 1964’s “Becket,” O’Toole played King Henry II to Richard Burton’s Thomas Becket, and won another Oscar nomination. Burton shared O’Toole’s fondness for drinking, and their off-set carousing made headlines. O’Toole played Henry again in 1968 in “The Lion in Winter,” opposite Katharine Hepburn, for his third Oscar nomination. Four more nominations followed: in 1968 for “Goodbye, Mr. Chips,” in 1971 for “The Ruling Class,” in 1980 for “The Stunt Man,” and in 1982 for “My Favorite Year.” It was almost a quarter-century before he received his eighth and last nomination, for “Venus,” a 2006 film. Seamus Peter O’Toole was born Aug. 2, 1932, the son of Irish bookie Patrick “Spats” O’Toole and his wife Constance. There is some question about whether Peter was born in Connemara, Ireland, or in Leeds, northern England, where he grew up, but he maintained close links to Ireland, even befriending the country’s now-president, Michael D. Higgins. Ireland and the world have “lost one of the giants of film and theater,” Higgins said in a statement. After a teenage foray into journalism at the Yorkshire Evening Post and national military service with the navy, a young O’Toole auditioned for the Royal Academy of Dramatic Art and won a scholarship. The image of the renegade hell-raiser stayed with O’Toole for decades, although he gave up drinking in 1975 following serious health problems and major surgery. He did not, however, give up smoking unfiltered Gauloises cigarettes in an ebony holder. That and his penchant for green socks, voluminous overcoats and trailing scarves lent him a rakish air and suited his fondness for drama in the old-fashioned “bravura” manner. O’Toole graciously accepted, quipping, “Always a bridesmaid, never a bride, my foot.” as he clutched his Oscar statuette.